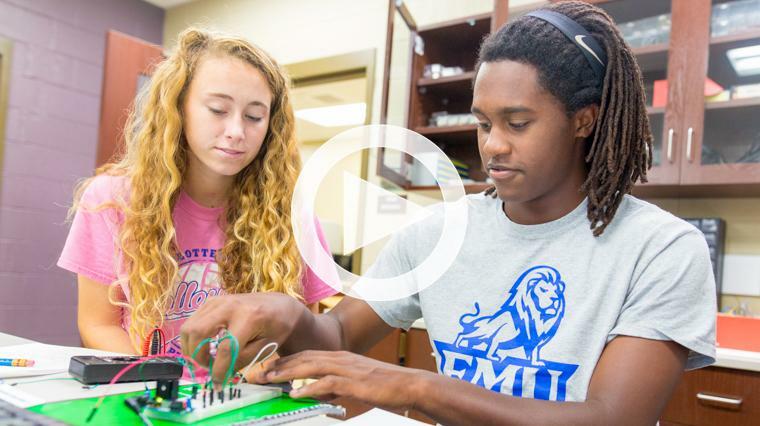 EMU offers Mechanical and Computer Engineering as majors. 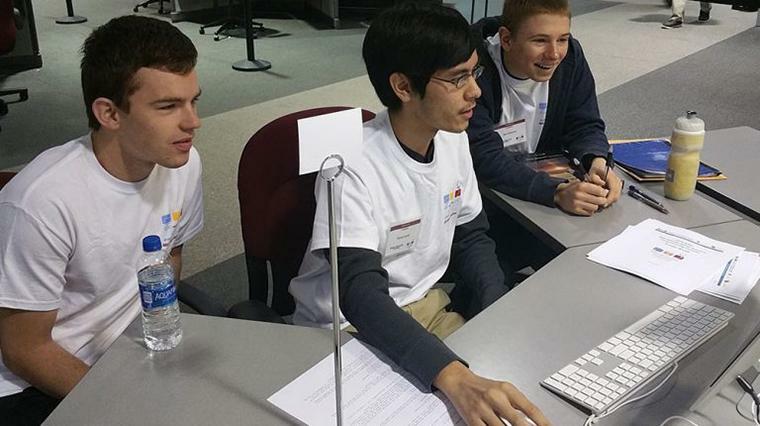 Engineering students get hands on experience to prepare them for professional careers. EMU teams place 18th and 48th regionally in international programming contest, besting the top teams from the likes of the University of Richmond, UNC-Charlotte and George Washington University. Engineers for a Sustainable World is a student club that works on sustainable solutions to real-world problems. Ben Stutzman was one of five STEM students to gain real-world experience through internships this summer at engineering firms. Stutzman worked on a Peeps packaging system project. 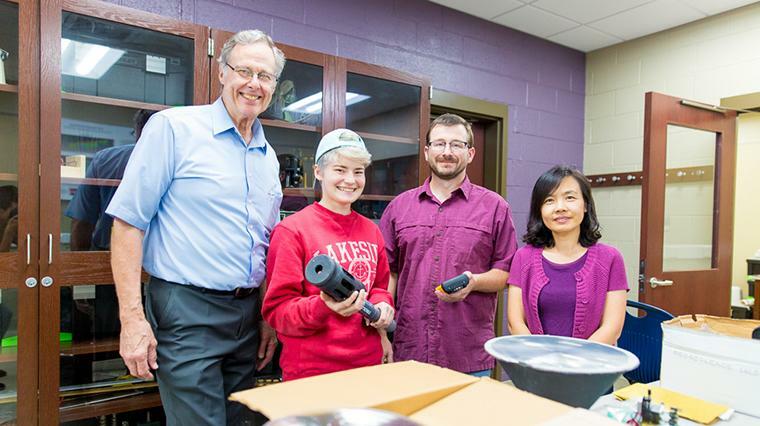 NASA scientist Russell DeYoung with (from left) aspiring astrophysicist Carolann Wengard, biology professor JIm Yoder and engineering professor Esther Tian. Wengard holds a water quality monitoring device, donated by NASA as part of a new Space Act Agreement with EMU. As an engineering student at EMU, you will flourish in small classes where professors mentor you 1:1. In addition to the expected academic rigor, you will learn critical thinking skills and prepare to be part of an inter-connected world through cross-cultural study, an emphasis on sustainability, and acquisition of skills to serve the common good. NASA scientists periodically visit campus for lectures and seminars; work with faculty on course and curriculum review; and collaborate with faculty and students on research programs. Liberal arts education gives engineers highly-valued skills, such as the ability to collaborate, empathy, understanding of other cultures, and general people skills. You will engage in research and gain practice in presenting your reseach to better prepare you for your field. You will learn in our newly renovated science center and labs. A bike project at EMU took top honors among 61 other competitors in the first and second-year design team division at the American Society for Engineering Education’s (ASEE) Zone 2 Conference. 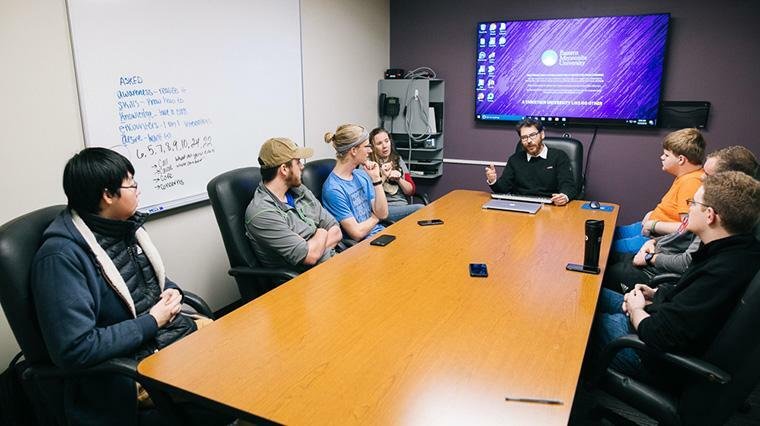 Join EMU Engineers For A Sustainable World, a club that aims to promote sustainable design on campus through student-led engineering design projects. The annual Academic and Creative Excellence Festival give student an opportunity to learn from each other and present original research. 98% of job-seeking graduates secure degree-relevant employment within a year, and most have jobs lined up before graduating. Students who declare a major in engineering – concentrating in mechanical or computer engineering – may earn up to $3,000 in addition to need and merit-based awards.